The thirty-eight year history of the Fulton County Chapter of the Retired Teachers Association of the Ohio Retired Teachers has been documented and maintained through the efforts of past chapter presidents and numerous dedicated officers, committees and past local association members.The organizing process of the Fulton County Chapter was initiated on October 8, 1968 through the leadership of Mervin Farber, a local teacher retiree and twenty-eight other interested retired educators who met for a dinner meeting get-together. This group was assisted by Second Vice-president H. W. Carr of the Ohio Retired Teachers. 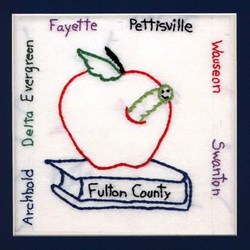 Organizational ideas were developed and pursued resulting in a thirty-five member Fulton County Chapter of the Retired Teachers Association. Throughout the ensuing years, the Fulton County Chapter has sponsored community services within the seven local school districts and has undertaken a multitude of interesting and exciting trips throughout the Eastern Regions of our United States and Canada. Presently, our local communities provide a variety of tutorial, health-related and post-retirement teaching opportunities for both our current and future members of the Fulton County Chapter of Retired Teachers.